GReads! 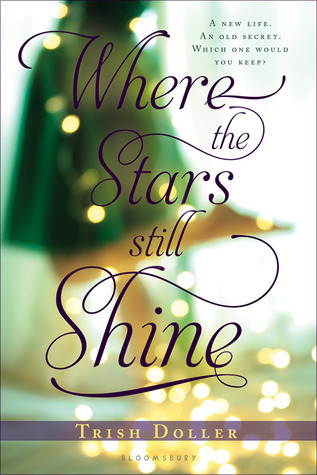 : A WHERE THE STARS STILL SHINE Preorder Giveaway! A WHERE THE STARS STILL SHINE Preorder Giveaway! WHERE THE STARS STILL SHINE by Trish Doller is a beautifully written book that I want every person I know (and don't know) to read! So to help make that happen, I am hosting a preorder giveaway! This contest is open INTERNATIONALLY, just as long as Book Depository ships to you. The giveaway will end on September 19th, so that gives me plenty of time to place the preorder & make sure the item is sent to the winner as soon as pub day hits (September 24th). About the book from Goodreads: Stolen as a child from her large and loving family, and on the run with her mom for more than ten years, Callie has only the barest idea of what normal life might be like. She's never had a home, never gone to school, and has gotten most of her meals from laundromat vending machines. Her dreams are haunted by memories she’d like to forget completely. But when Callie’s mom is finally arrested for kidnapping her, and Callie’s real dad whisks her back to what would have been her life, in a small town in Florida, Callie must find a way to leave the past behind. She must learn to be part of a family. And she must believe that love--even with someone who seems an improbable choice--is more than just a possibility. I've been dying to read this! Fingers crossed that I win! haha, my birthday is September 20th (turning 19) and this would be an epic present! Thanks for the great giveaway! I can't wait to read this - so many bloggers whose opinions I trust (like you!) have LOVED this book. The blurb sounds deep and intriguing. The cover is gorgeous, too. Thanks for the chance to win a copy!